“The BTR-82s will now carry the AU-22M Baikal remotely-controlled combat artillery module, which will considerable add to its firepower,” the newspaper quoted a Russian Defense Ministry official as saying. 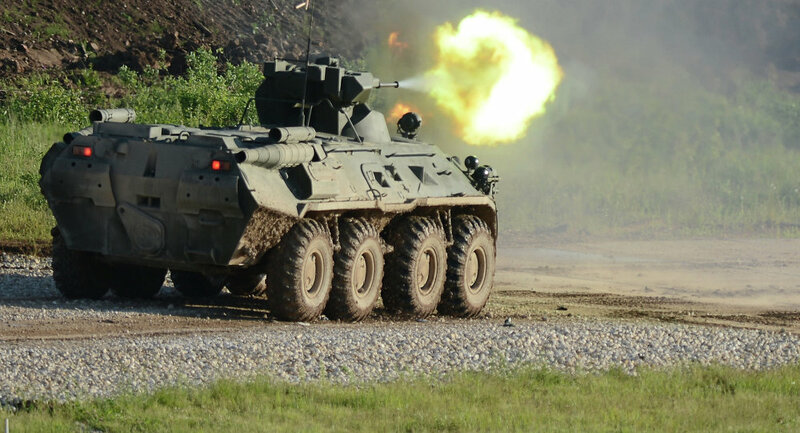 The BTR-82 is an upgraded version of the BTR-80A wheeled armored vehicles which were armed with a 2A72 30 mm automatic cannon, modern sights, digital communications gear and better anti-mine defense. More than a thousand BTR-82s are currently in service. Apart from armored infantry brigades and division they are also used by combat reconnaissance units, Marine brigades and Special Operations forces. According to military historian and veteran tank man Sergei Suvorov, armed with the 57 mm remotely controlled automatic cannon the BTR-82 will be able to take on armored jeeps kilometers away and even main battle tanks as its shells are not only able to wreak havoc on a tank’s exterior but can also cut through its side armor.The 57 mm Baikal automatic cannons will also be installed on Kazakhstan’s new Barys APCs, developed on the basis of the South African Mbombe fighting vehicle. 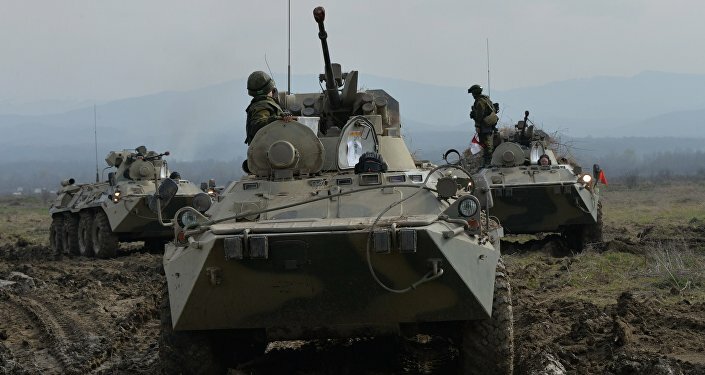 Russian troops used the BTR-82A armored personnel carriers for the first time during drills in Tajikistan, an aid to the commander of Russia’s Central Military District said Tuesday. There is a number of significant differences between the new BTR-82A and their predecessors, the commander noted. The armored vehicles’ firepower has been increased due to a 30-mm aircraft cannon being installed, while high angle barrel lifting allows for a more efficient attacks in mountainous areas.“Soldiers stationed in Tajikistan as part of the 201st Military Base used the new BTR-82A for the first time during maneuvers in the foothills of the Eastern Pamirs,” Col. Yaroslav Roschupkin told reporters. The motorized infantry troops managed to strike targets at a distance of 1.2 kilometers (0.75 miles) and 1.7 kilometers on complex terrain, Roschupkin added.